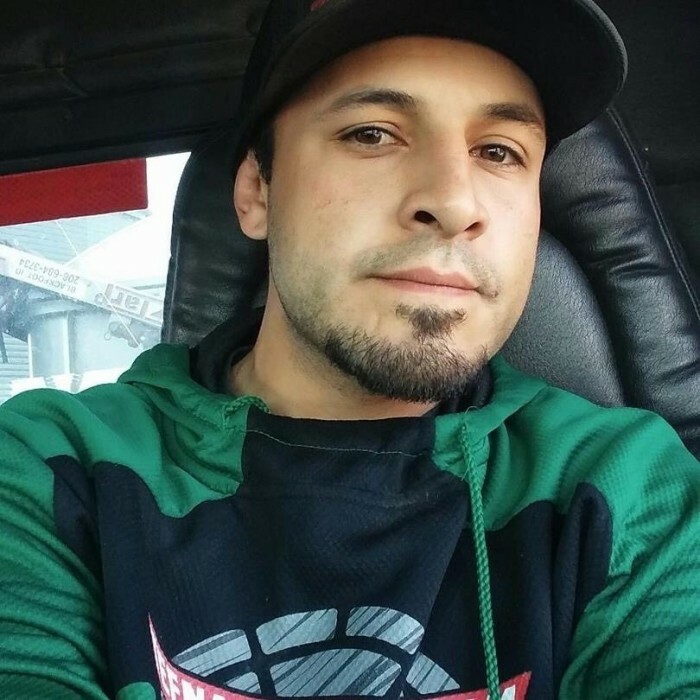 On Tuesday April 9, 2019 Fabian L Castaneda, avid fisherman and hunter. Loving son, brother and friend. Deeply loved husband and daddy to 5 precious little girls left us way to soon at the age of 29 in American Falls Idaho. Fabian was born December 1, 1989 to Dianna Rosas and Harvey Castaneda in Pocatello Idaho. He grew up and lived most of his life in American Falls Idaho. He graduated from American Falls High school in 2008. In high school he received a state champion wrestling ring. He went on to win the MMA 145 lb Title Championship Belt. He achieved his plumber apprenticeship 1st year and acquired a Trucking CDL. His passions were MMA, bartering, fishing and hunting. You would often see him fishing in the river by American Falls. He called that river his river and he loved his river. Fabian married Ashlie Wagner in 2010. Even though their marriage did not last it brought his first-born child Rome Elizabeth. He called her his "Ome" he adored his baby girl. She loved to tease, pull his ear and laugh. She loved spending time with her daddy. On December 26, 2012 he met the love of his life Marina Shey Potter. They instantly connected. They loved to laugh, tease and fun wrestle. Being together is what made any moment fun. They were so connected they would often finish each other’s sentences. He quickly fell in love with her two little girls Alaini and Aaliyah and gave them his nick names. He called Alaini his "Shey bae bae". She was his little fishing buddy. He named Aaliyah "kitty" because she was shy but loved to stick her tongue out at him so that he would tickle her. Fabian and Marina loved all the girls as their own. There was never the word step in their vocabulary. Marina loved his smile, laugh and his big, big heart so on June 14, 2015 they were married. They were blessed with two more precious little girls Remington and Essie. Like tradition they were also given a nick name. He called Remington his "birdie". He always said she was his twin. She loved being with him whether it was hunting or fishing it didn't matter, she was his side kick. He called Essie his "bidess" or "sunshine" He loved playing with her and having her make silly faces. He loved his girls. They were all his girls. He will be deeply, deeply missed. Growing up Fabian was raised by his grandparents Henrietta and Ruben Castaneda. His grandma was his world, he cherished her beyond words. He also looked up to and wanted to be just like his grandpa. He was devastated when his grandfather passed away in 2004 and longed for the day that he could see him again. Fabian was given the nick name ”Bone" by his dad Harvey. When he was in elementary school his dad taught him and all the kids how to paint and dry wall, something they all remember. Fabian was his mommas first born child. She loved him deeply and was so proud of him. She looks forward to the day when she can dance with him again. Fabian grew up with his Aunt Barbara, he took her everywhere with him and called her his "Barbie." She loved getting jewelry from her Bubba. He also had a special bond with his sister and best friend Kassandrea. They were inseparable. He loved teasing and joking with his brothers Nick, Armando and Jordan. Although his sisters Bianca and Saphirna were not connected in blood, he considered them his full sisters and would do anything for them. Fabian loved spending time hunting, fishing and camping with family and friends. He loved people, the list of family and friends that he was close to could go on and on. You all know who you are. He loved you all very much. Fabian always had a big smile and was full of life. An aunt recalls that one year at Christmas when Fabian was around 5 years old he grabbed a gift from under the tree and said, "I know what's in this." She said, "oh do you?' In his manly little voice he said, "you open it!" He wanted her to open it because if she opened it he wouldn't get in trouble. That is how Fabian was, always one step ahead of the game. He was always looking for the best deal or how to make a deal even at a young age. Fabian was the Barter King. It was said that he could pick up a pebble and flip it to gold. He was also very competitive. It was important to him to always be first and he considered himself the best at everything. He was the best fisherman, the best singer. You name it he was the best at it. All you had to do was ask him and he would tell you so. After an accident at work last fall Fabian began to struggle. He was in tremendous pain from a head and back injury. He ended up having back surgery but continued to suffer from head trauma. He was not the same and would often say he knew he was not ok. It is the hope and prayer of the family that no one else has to endure such tremendous grief. Mental disease or illness is real and is something that needs to be addressed. It is time for the shame to stop and healing begin. If someone is struggling, please seek help. You can call the National Suicide Prevention Lifeline at 1-800-273-8255. They are available 24 hours every day. Fabian will forever be remembered by his wife and best friend, Marina Castaneda; their 5 precious little girls, Alaini Shey, Aaliyah Marie, Rome Elizabeth, Remington Lynn, Essie Zoeann; his grandmother, Henrietta Castaneda; his father Harvey (Ana) Castaneda; his mother, Dianna Rosas (Jason Owens); his brothers, Nick (Jeryd) Castaneda, Armando Rosas, Jordan Pulido; his sisters, Kassandrea Castaneda (Adam Cuevas), Bianca Bosquez, Saphirina (Garrison) Garrity; his father and mother in law Donald (Dalisa) Potter, Anna Potter; his brothers in law, Britain (Krissy) Potter, Scott (Nina) Burnham, Michael Burnham, Dakota (Kaitlyn) Tillotson, Joshua Potter; his sisters in law, Taysha (Fabian) Fernandez, Tianna Cutler. Fabian will forever be remembered by his numerous nieces, nephews and extended family and dear friends. The Celebration of life will be held Friday, April 19, 2019 at 3:30 pm at American Falls Christen Fellowship (329 Harrison St, American Falls). Committal at Falls View Cemetery. Following will be a gathering of family and friends for a sunset farewell and hot dog roast. At sunset we will light lanterns and send them with ashes down Fabians river below 3 Layer Park. To make a donation you can go to Idaho Central Credit Union, Fabian Castaneda Memorial Fund account #721431685. Condolences may be shared, and a full obituary viewed at www.davisrosemortuary.com.